In order to reduce human efforts, there has been increasing interest in applying active learning for training text classifiers. 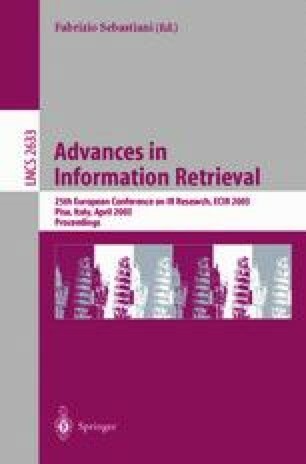 This paper describes a straightforward active learning heuristic, representative sampling, which explores the clustering structure of ‘uncertain’ documents and identifies the representative samples to query the user opinions, for the purpose of speeding up the convergence of Support Vector Machine (SVM) classifiers. Compared with other active learning algorithms, the proposed representative sampling explicitly addresses the problem of selecting more than one unlabeled documents. In an empirical study we compared representative sampling both with random sampling and with SVM active learning. The results demonstrated that representative sampling offers excellent learning performance with fewer labeled documents and thus can reduce human efforts in text classification tasks.